There are over 900,000 small businesses in Ohio. That’s a lot of competition you have to deal with on a daily basis. The best way to get your fair share of the spending market is through strategic SEO tricks. 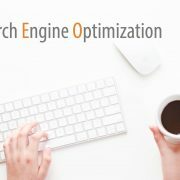 SEO refers to your ranking on search engines. In fact, the abbreviation stands for search engine optimization. Improving your ranking on Google and Bing is the most effective way to find new customers, even for localized businesses. Did you know over 1 billion people utilize Google to find answers, businesses, and products? 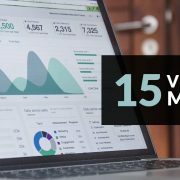 You need to get your name and branding in front of these people, and SEO tricks are the best way to do that. Here are our top 8 SEO tricks for small businesses owners in Ohio. The most important thing you can do is to create a Google My Business Page. When you search for a business, such as “chiropractor near me,” there are a select couple of businesses that appear on the right-hand side of the search results. These businesses are the first thing that your customers are going to look at. 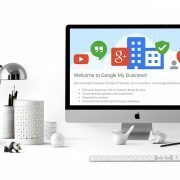 In order to get your name and business in front of them, you have to create a Google My Business Page. They are easy to do but can take time because Google will send you a letter. For that reason, it’s best to get started as soon as possible. After you’ve created a Google Business Page, you need to get some good reviews on it. People are much more likely to choose a business that has lots of good reviews than one that has none. Find the best ways to motivate your customers to give good reviews. You could offer a free product or service, put their name in a drawing, or give them an extra stamp on their loyalty card. Whatever you choose, you just need to do it. Sometimes asking after a good experience is enough to encourage your customers. Be sure to include your employees in the strategy. They can have a big effect on the customers as well. The next step seems obvious, but it’s very important. You need to make sure that your site runs smoothly. 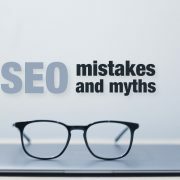 Search engines like Google, penalize companies big time for errors in codes or links. 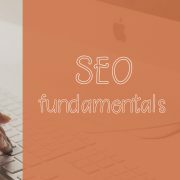 Some simple ways to improve your SEO is to improve the page speed, remove broken links, and fix formatting errors. 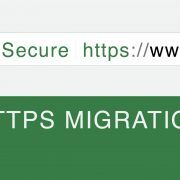 By following these steps not only will your site run more smoothly, but people will stay on it longer as well, which is great for rankings. Even the best SEO sites still need good creative designs, however. Do you know why? For certain businesses such as physicians, lawyers, artists, etc., it’s not only important to market your business but also your employees. Writing about your employees’ specialties will help you to gain more traction on SEO as well. Depending on the length and the number of employees you want to highlight, you can have one about page or multiple. It’s crucial for all businesses websites to have a clear about page with their employees and traits. Be sure to include your location in that description as well. Did you know you can mark where you are in your photos? While private and personal accounts don’t typically use this feature, it’s great for businesses. You can upload your photos to your Google Business Page. This will add a lot of credibility to your brand. Not only that, but it will also help people to see what your shop or office looks like. 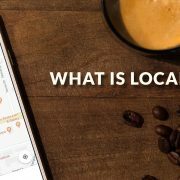 This is a valuable feature because it can make finding your business easier both on the web and in real life. A new trend that is emerging is voice search. With new technologies such as Alexa and Echo, people are now able to search and find answers just by talking. Optimize short passages that Google can read out loud. Often Google only chooses one place of information to answer a question. Make sure that you qualify by using the right length and word phrasing. Our next SEO trick can have a big impact right away. Petition local directors and sites. There are companies, such as Yelp, that have worked a long time to build up their user base and give them good information. If there is a site that caters to your audience already, you don’t have to reinvent the wheel. Instead, try to get some quality coverage on that site. You’d be surprised by how much traffic you’ll start to receive. Every site has different requirements, so be sure to do your research first. In fact, Yelp is based on others reviews of your product. It’s illegal on their site to reward positive reviews. Knowing simple rules like this will help you to navigate the best sites and get the most out of their platform. The last trick is to create a blog. While there are hundreds of thousands of blogs out there, many are not localized for the area they are in. You can do this by adding in location-based keywords, such as “Ohio baker” or the name of your city. Be sure to combine both locations and the keywords you want to rank for in one blog. This will ensure that not only are you getting more traffic, but you are getting the right kind of traffic as well. 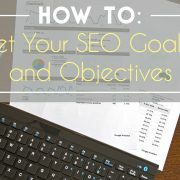 SEO can seem like a daunting task. There is so much to learn and so many different ways to work on it. However, you don’t have to do it alone. Hiring a digital advertising agency can help you get the hang of things and learn even more SEO tricks. Find out what a digital advertising agency can do for you and how you begin improving your bottom line right away. Contact us for more information.